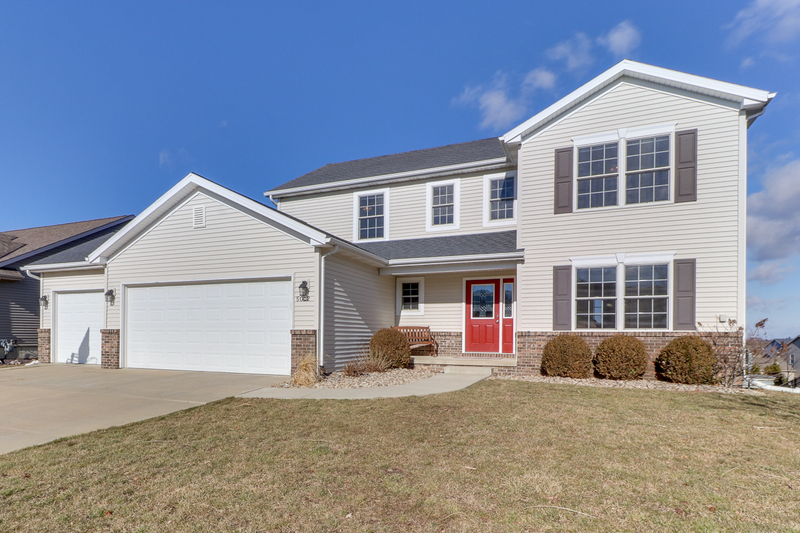 Two Story Home with Walk Out Basement in the Grove on Kickapoo Creek! This subdivision provides no through traffic, quiet streets, access to trails & a creek for fishing, and a park. This spacious home on Londonderry features great room sizes, first floor laundry, lots of natural light, two tier deck, patio, oversized lot, four bedrooms, and 2 1/2 baths. Main floor offers eat-in kitchen with plenty of cabinets and built in desk, formal dining room, half bath and laundry, and family room with gas fireplace. Second floor boasts the 4 bedrooms and 2 full baths – one being the large master suite with vaulted ceilings, dual vanity, tub with tile surround, and walk-in closet. Lower level with walk-out offers 2nd family room, flex room, and additional storage area. HOA fees cover common areas and trails. Don’t miss out on this one!